The Army plans to shoot off prototypes of a new, high-tech, long-range land rocket designed to destroy targets as far away as 500 kilometers, nearly three times the range of existing weapons. The anticipated "shoot-off," to include weapon prototypes from both Raytheon and Lockheed, is slated to take place in roughly the 2020 timeframe, Army developers said. The emerging Long Range Precision Fires, slated to be operational by 2027, draws upon next generation guidance technology and weapons construction as part of an effort to engineer a sleek, high-speed, first-of-its-kind long-range ground launched attack missile able to pinpoint and destroy enemy bunkers, helicopter staging areas, troop concentrations and other fixed-location targets from as much as three times the range of existing weapons, service officials said. "Ultimately, it is about out-ranging the enemy. We are not necessarily guaranteed aerial superiority, and this extends our attack range much further out to be able to strike enemy logistics targets, supply nodes, force concentrations or command and control centers," Brig. Gen. Robert Rasch, Deputy Program Executive Officer, Missiles and Space, told Scout Warrior in an interview. While Rasch did not specify any particular Russian weapons or threats per say, he did explain that Russia's use of combined arms tactics in Ukraine was by no means lost on US Army weapons developers. Specifically, he mentioned that Russia's use of combined electronic warfare, cyber attacks, drones and long-range fires introduces a particularly challenging new kind of threat. "It is utilizing these things in a combined arms aspect that is most worrisome. Anyone of those capabilities by themselves would be fairly easy when you start combining those effects -- cyber, followed by drones followed by EW and long-range fires -- it changes the scope of the battlefield," Rasch said. "This forces us to look outside of the ground arena we are in and work on multi-domain war with the other services." Long-range surface-to-surface fires, many contend, could likely be of great significance against an adversary such as Russia - a country known to possess among most advanced air defenses in the world. Such a scenario might make it difficult for the US to quickly establish the kind of air supremacy needed to launch sufficient air attacks. As a result, it is conceivable that LRPF could provide strategically vital stand-off attack options for commanders moving to advance on enemy terrain. In addition, there may also be some instances where a long-range cruise missile - such as a submarine or ship-fired Tomahawk - may not be available; in this instance, LRPF could fill a potential tactical gap in attack plans. Raytheon and Lockheed recently won a potential $116 million deal to develop the weapon through a technological maturation and risk reduction phase, company officials said. Moving Forward, Rasch said the Army plans to down select to one vendor as it moves into the next developmental phase of the weapon. Raytheon refers to its new weapon as the DeepStrike missile. 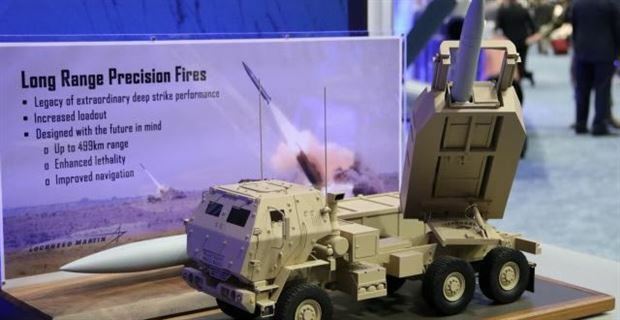 “The Long Range Precision Fires Missile will attack, neutralize, suppress and destroy targets using missile-delivered indirect precision fires. LRPF provides field artillery units with 24/7/365 long-range and deep-strike capability while supporting brigade, division, corps, Army, theater, Joint and Coalition forces as well as Marine Corps air-to-ground task forces in full, limited or expeditionary operations,” Dan O’boyle, spokesman for Program Executive Office, Missiles & Space, told Scout Warrior.A key aspect of the strategic impetus for the long-range LRPF weapon is to allow ground units to attack from safer distances without themselves being vulnerable to enemy fire, Army officials explained. The new weapon is designed to replace the Army’s current aging 1980’s era MGM-140 Army Tactical Missile System, a ground-launched missile able to fire at least 160 kilometers. LRPF missile will have a newer explosive warhead and guidance technology aimed at providing an all-weather, 24/7, precision surface-to-surface deep-strike capability, O’Boyle added. “The LRPF will replace the Army Tactical Missile System (ATACMS) capability, which is impacted by the age of the ATACMS inventory and the cluster munition policy that removes all M39 and M39A1 ATACMS from the inventory after 2018,” O’boyle added. In addition, the LRPF will fire from two existing Army launchers, the M142 High Mobility Artillery Rocket System and the M270 Multiple Launch Rocket System, O’Boyle added. Lockheed statements say their emerging prototype missile system includes a Launch Pod Missile Container and a fully integrated surface-to-surface guided missile that will be compatible with the Multiple Launch Rocket System MLRS M270A1 and M142 High Mobility Artillery Rocket System HIMARS launchers. Rausch explained that, given the smaller size and improved technology envisioned for the LRPF, firepower and rate of fire can both be substantially increased because two LRPF missiles can fit into a single pod. 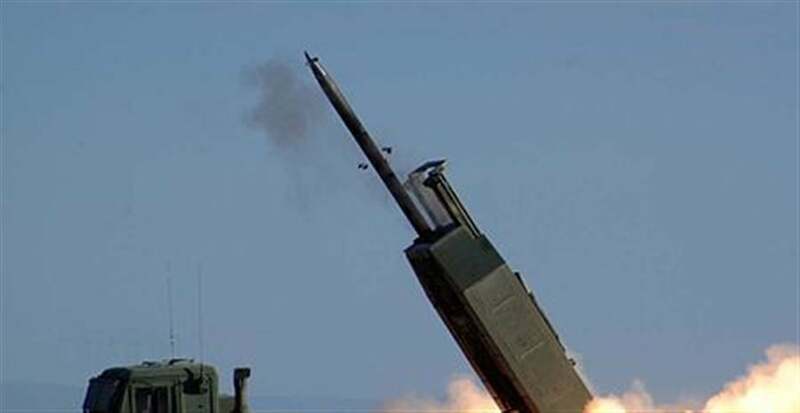 "HIMARS shoots one ATACMS and in here we will have two missiles in a missile pod," Rausch said. "We are going to double the capacity and get two rounds for each - twice the load out in the same amount of space. This will bring longer legs for our maneuver forces and bring a better capacity with less of a logistics footprint. This will be a tremendous relief on the artillery forces." Rasch also said the weapon is designed to be modular, meaning it is engineered such that it can quickly accommodate new technologies - software, seekers, guidance improvements - as they emerge. Longer-term, the Army is beginning to explore the use of a "dual-pulse" motor for the LRPF; one motor brings the weapon along a certain trajectory to then be replaced by another motor better suited to propel the missile through higher altitudes with lighter air. As part of a concurrent effort, the Army is also now upgrading ATACMs with new guidance technology and a proximity fuse to fill the near term weapons gap until LRFP arrives. The US Army was among the first-ever to deploy land-fired precision weaponry such as the GPS-guided Excalibur precision 155m artillery round and the longer-range Guided Multiple Launch Rocket System, or GMLRS. These weapons, which were first used in combat in Iraq and Afghanistan in the 2006 through 2009 timeframe, ushered in the advent of a new kind of weapon engineered to give Commanders more attack options and pinpoint enemy targets with great precision from long distances. In fact, among other things, GMLRS successfully destroyed Taliban targets in Afghanistan. While precision fires of this kind would, quite naturally, be useful in full-scale mechanized force-on-force combat – they proved particularly useful in counterinsurgency attacks as Taliban and Iraqi insurgents deliberately blended in with innocent civilians among local populations. As a result, precision attacks became necessary, even vital, to US combat success. Since the initial combat debut of these weapons, however, the fast pace of global technological change and weapons proliferation has fostered a circumstance wherein the US is no longer among the few combat forces to have these kinds of weapons. As a result, the US Army sees a clear need to substantially advance offensive ground-attack technology.